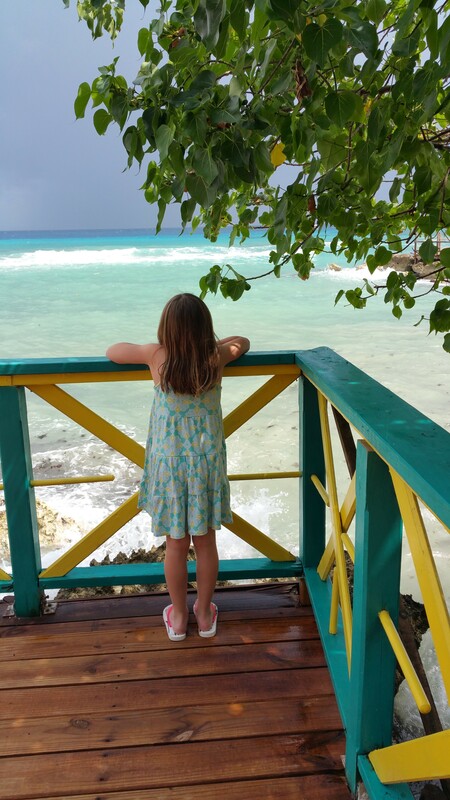 Franklyn D. Resort Luxury Family Travel Jamaica Review – It's a Lovely Life! 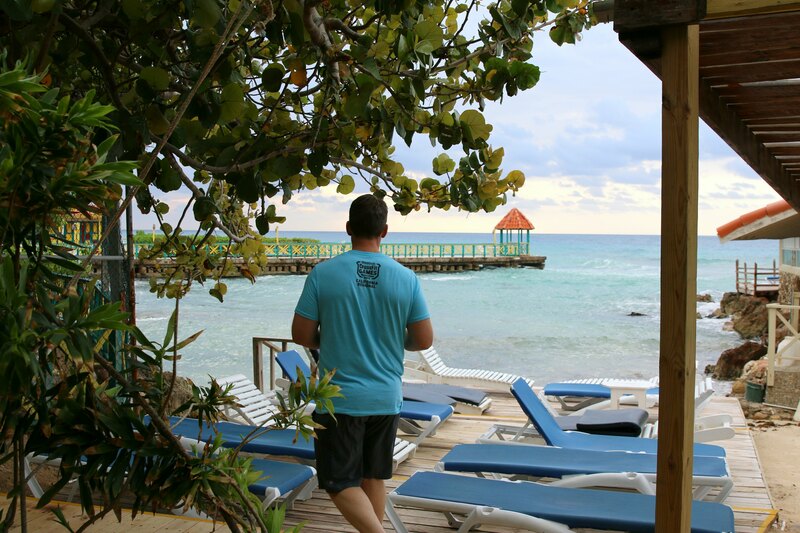 Now that a few weeks have passed by since we were in Jamaica, I've had some time to really think about what a unique island Jamaica really is. The people here are all very hard working with big hearts. No place on the island did we think this was especially true than during our stay at our travel partner, Franklyn D. Resort. 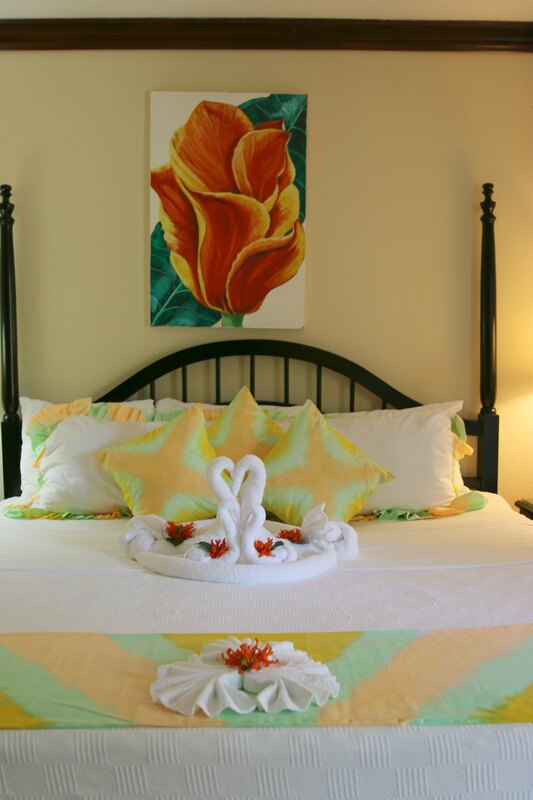 Franklyn D. Resort isn't your every day place to stay. It is very unique and possibly the most family friendly hotel on the planet. The first thing that really stands out about FDR are the vacation nannies. 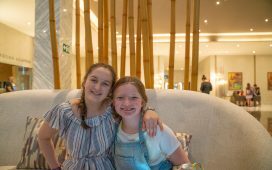 When I first heard about a resort that gave each family traveling with children their own vacation nanny, I just knew that we had to stay there soon, before Emmy was too old. 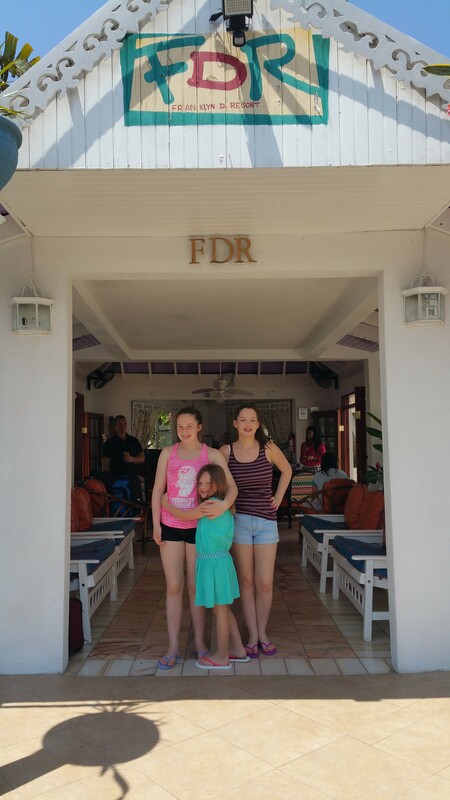 It turned out that the vacation nanny was truly amazing… but that was just the beginning of what makes FDR so special. When we pulled up to the gates of FDR, I was a bit confused because they are not that impressive. We are used to resorts where the entry ways are grand! Huge columns, lush landscaping and just the feel of entering paradise, FDR was off a main road and had none of that. It is guard gated, but the entrance is very understated. 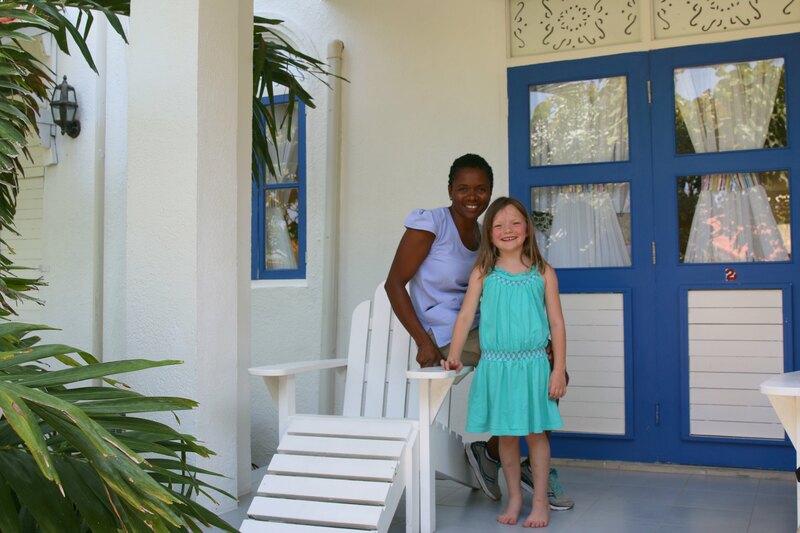 As we drove in we were unloaded straight into a traditional Caribbean building, and instantly greeted and welcomed. This is the point where I knew this was going to be a very special place. Emmy looks forward to the resort welcomes so much. 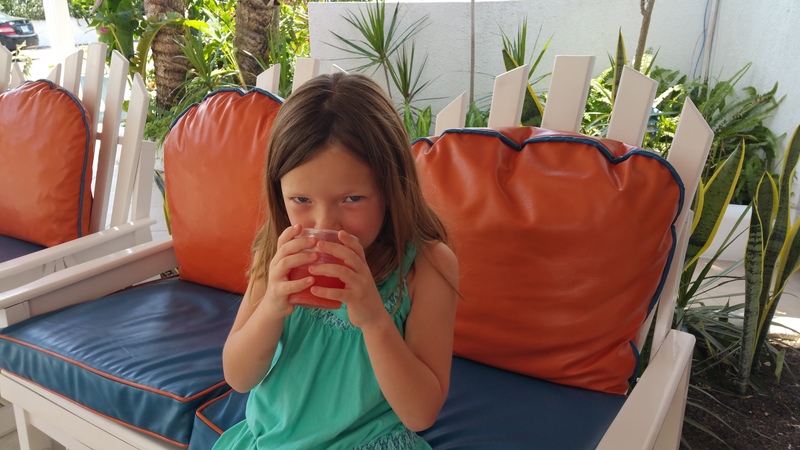 From cool towels, fruit infused waters, to rum punch, she loves to be pampered. We joke that she is an aficionado of sorts in these things, and she said this was the best punch ever. She even wanted me to ask them for the recipe! 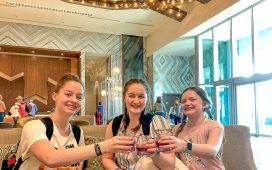 After we were quickly checked in, which took less than 10 minutes, (including the time we were enjoying our welcome drinks,) we were taken on a tour of the resort with our vacation nanny. This is the point where it all became real… we were going to have this amazing person with us throughout our entire stay! If I wasn't already in love with Jamaica and FDR, I was after seeing this view. The colors of the water here were indescribable. From turquoise to deep blues, and then they changed as the clouds passed overhead. After seeing the ocean views we were shown our suite. 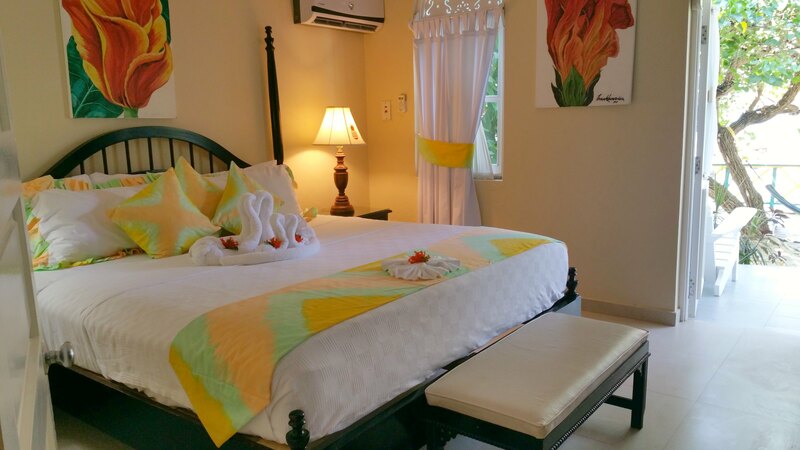 This was the girls room… I love the traditional Caribbean colors! So vibrant and bright! Here is our beloved vacation nanny Claudette. This is what having a vacation nanny is really like. You wake up in the morning and head to breakfast. We always shower first, including the kids… but you could totally wait and your nanny will get the kids ready for you when she arrives at 9am. Once your nanny is here, you can do whatever you like. Read a book on the beach, get a massage (for an additional fee), have a drink by the pool, take a nap in a hammock overlooking the ocean, pretty much anything you want to do. While you are relaxing, your children are also doing whatever they like. 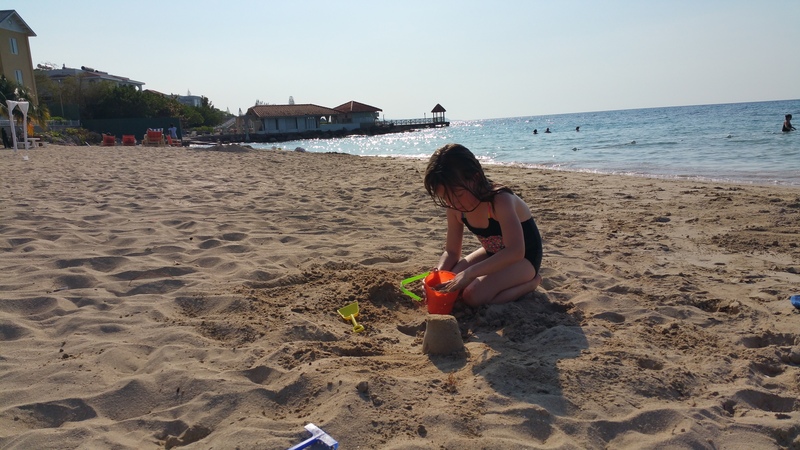 Your nanny can take them to get a snack, to play with other children in the pool, to splash in the waves on the beach, to do a craft… really the possibilities are endless! Even Ashley at 13 loved having the Nanny around. Emmy of course adored her too. 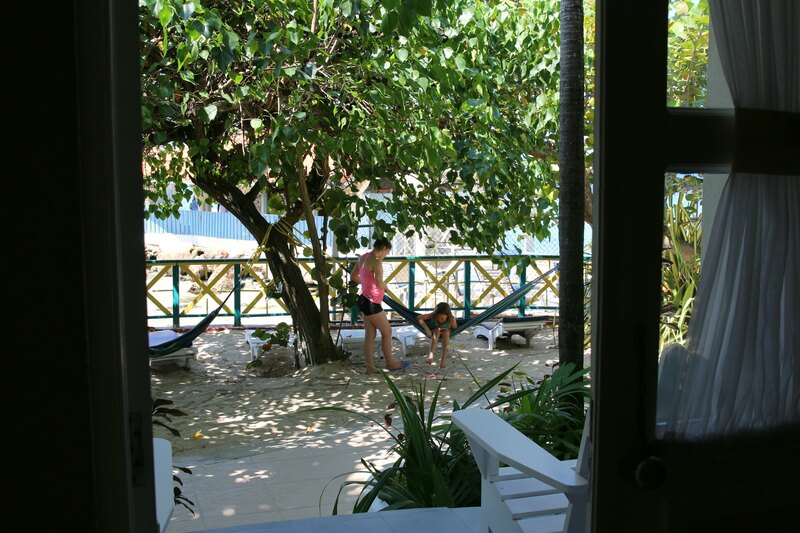 It was the best feeling to know that the kids were safe exploring the resort while we worked and relaxed. This was the view from our bed. The ocean was right there! I could not draw Emmy away from the water… she just loves it! For a day during our stay it rained as it does on a tropical island. At times, it was pouring down and other times it was perfectly sunny. Pete and I sat in the storm on the hammocks looking out over the water. Not something I would normally do since we were soaking wet after, but totally fun. The rain was warm and since we don't get much rain in California, we loved it. 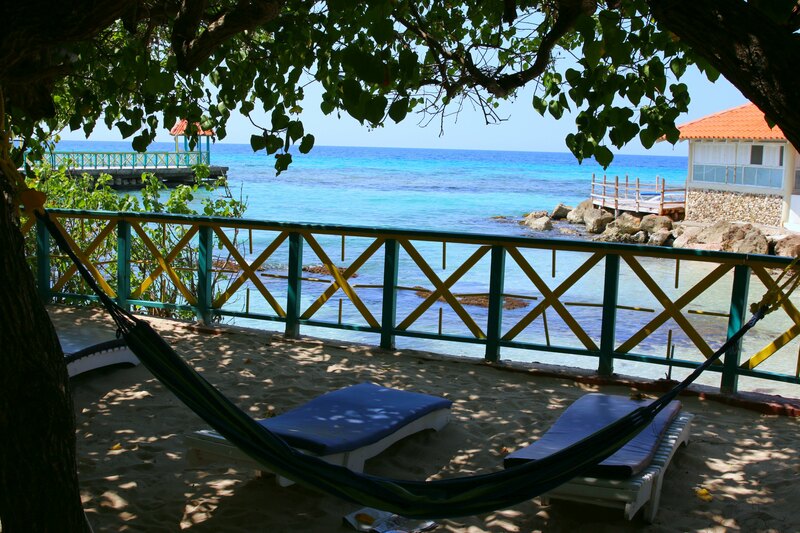 Right outside the over the water spa and massage area, is the quite beach where you can find some tranquility. FDR has a private lagoon beach area and then to the right of the resort is a long stretch of beach where you can go. The security guard will even bring you beach chairs and towels. FDR takes security very seriously and we were checked in and out when we went to the beach, and I could see that they were looking after us while we were there. Having said that, we felt extremely safe the entire time were in Jamaica. There were even some huts at the end of the beach were people sold little hand made trinkets. Another thing that I was warned about before coming was that there would be people trying to sell all sorts of things on the beaches and that they could get pushy. Not once on our entire stay in Jamaica did anybody try to sell us anything. We didn't venture into unknown areas or out after dark, which is what we do even back in the states, so I would say to take the same precautions you always take when here. 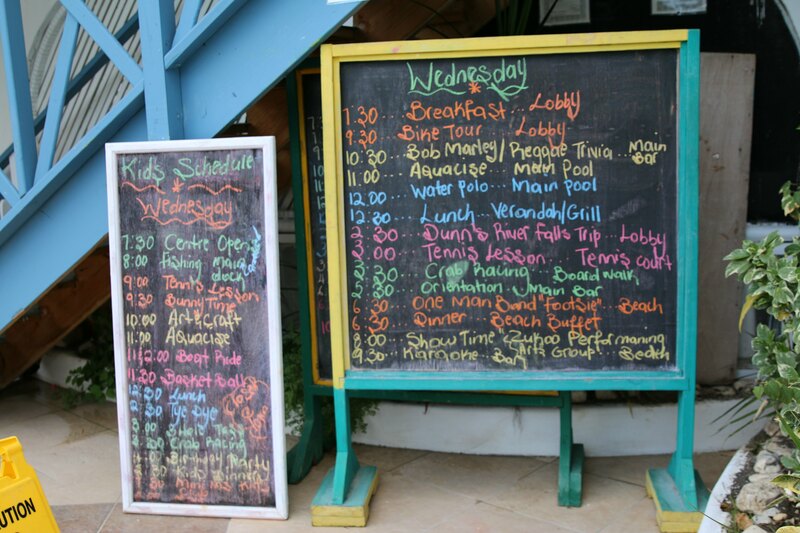 Every morning these boards are filled out with the day's activities. You are free to join as many, or as few as you please. 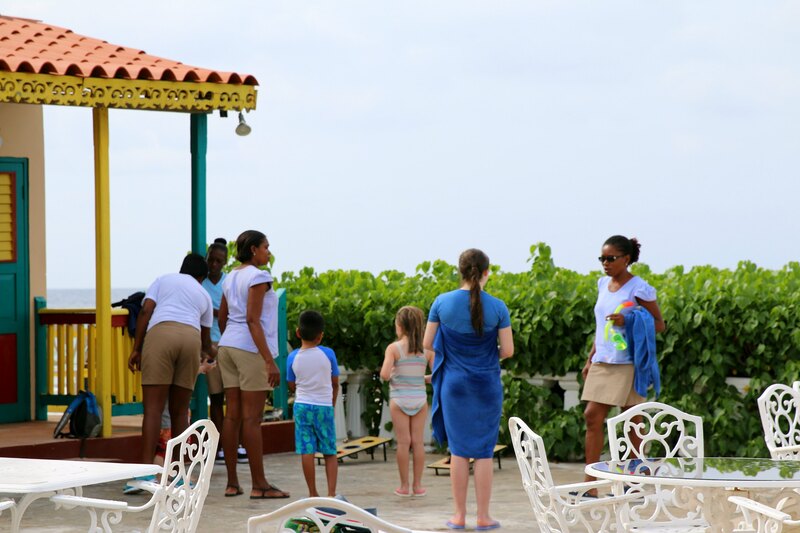 The nannies take the kids to the kids activities if the children would like, or you can take your kids while the nannies straighten up your suite. The nannies act as your housekeeper too. Even stocking your refrigerator with snacks for the evening based on your choices. 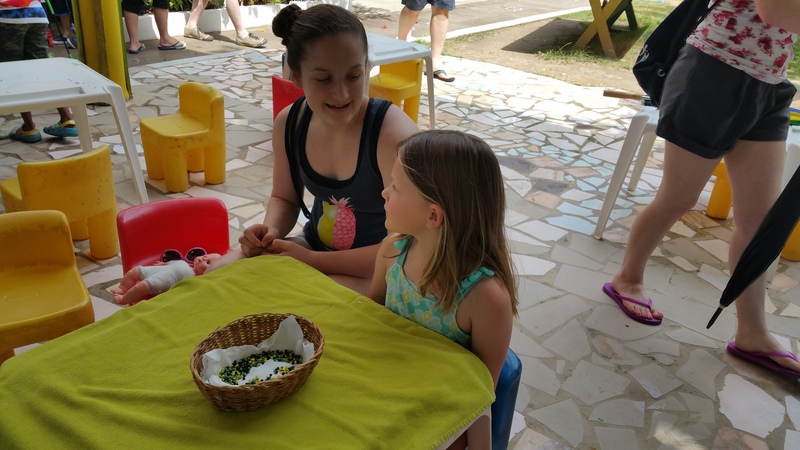 We had fresh fruit and cheese platters each night for a late night snack, and we also had soy milk and cereal if we got hungry before breakfast. They even can bring beer and water! Our first night there Emmy joined a dance party! They also have a teens club where they can getaway and hang out. There are multiple pools too. This is the main one and there is a kiddie pool off to the side for them to splash around in. 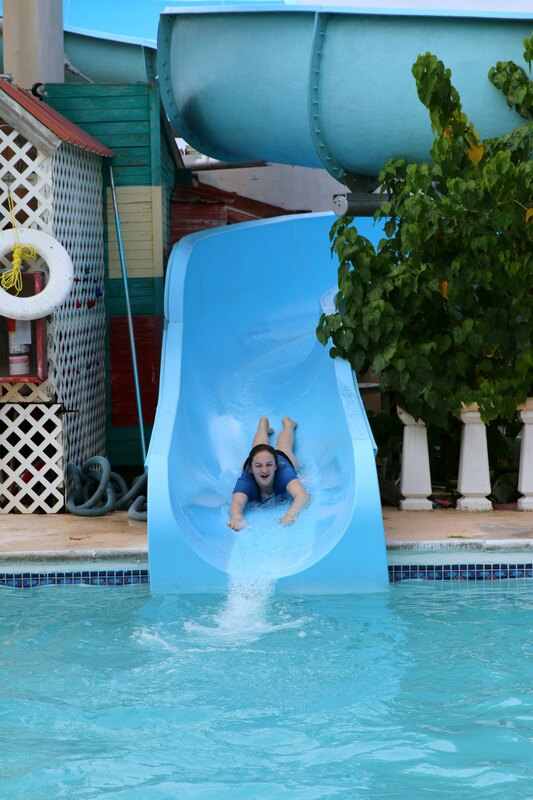 And this is the big blue slide pool. It's practically on the ocean! The girls challenged each other to go down it 100 times each… and they did! Menus are also posted for each meal. The dining is set up where breakfast is at a certain time each day. It is a buffet with an omelet station and then you can order smoothies, coffee, and other drinks from a server. Lunch is a buffet and an a la carte option, plus the snack bar is open then with pizza, burgers etc. For dinner it is either a themed buffet dinner on the beach, or in the restaurant if there is rain, or an a la carte menu for families and an adult only restaurant with a fancier menu. You can pay your nanny to stay later to watch the kids so you can enjoy dinner with the other adults, or you can all dine at the family restaurant as we did. There is also a kids dinner served buffet style at the snack bar that opens a little earlier than the main dinner. Emmy LOVED it. She would walk through the buffet, order a pizza at the snack bar, and then sit down at the children sized tables and enjoy her food. Then she would come with us over to the main dinner area and have a drink with us…or finish eating her kids food. 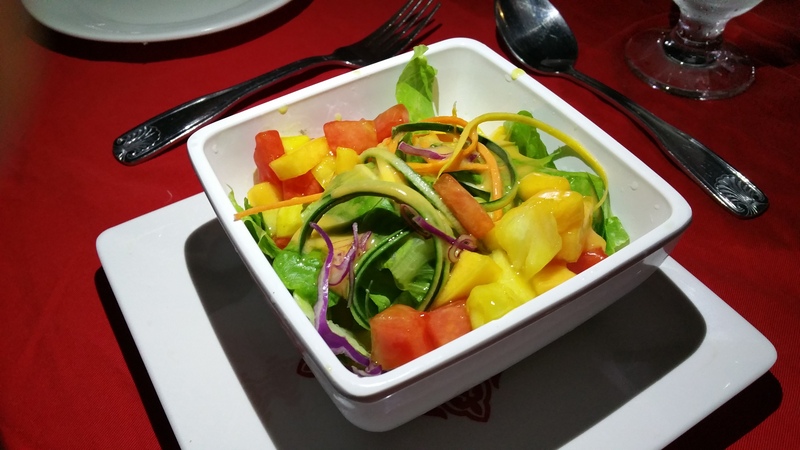 I wanted to note that the majority of the food that they serve is for the typical westerner. Lot's of meats. 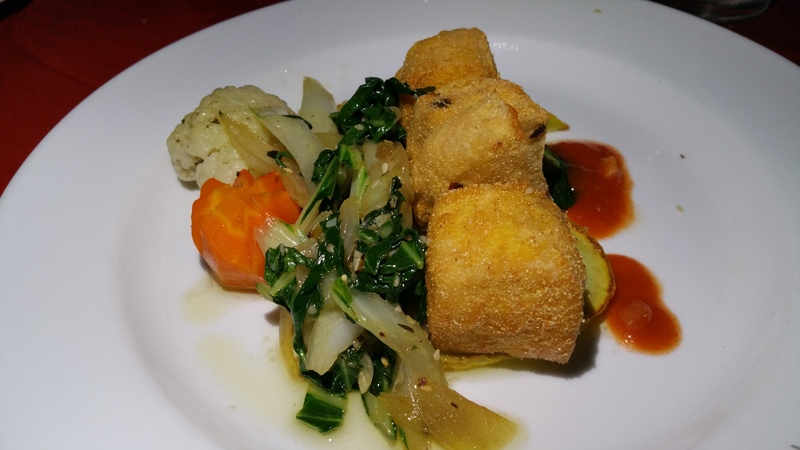 However, as soon as they found out we were vegetarian and vegan, they brought out a special menu just for us that we could order from at each meal. 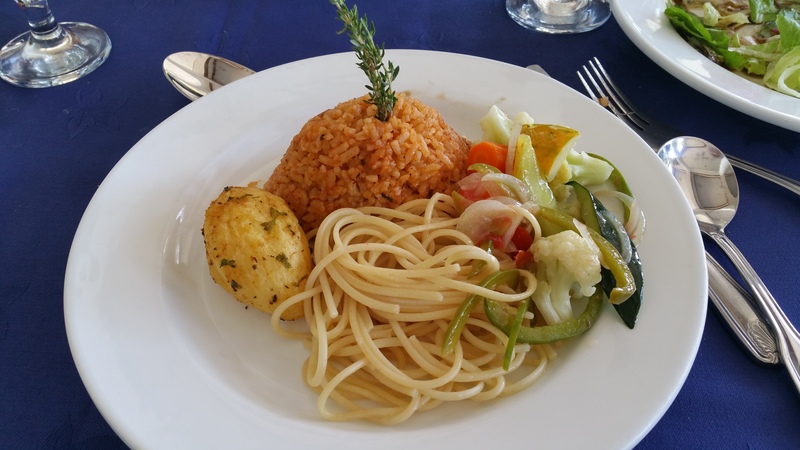 We had a bunch of delicious meals and I would recommend that everyone try the “Rasta Pasta”. It was delicious and packed with all sorts of veggies! They even made us tofu! Maddie and I are still craving the spicy red rice. I have never had rice cooked so perfectly! This is where we enjoyed most of our meals. So beautiful! A few more things to share. There is an onsite nurse available for no charge and if she feels you need additional care they have a physician on call for a fee to take over. Emmy had a bug bite that was really bothering her and the nurse was able to treat and provide relieve right away. We did pack a bunch of bug spray, but I have learned it's never 100%. 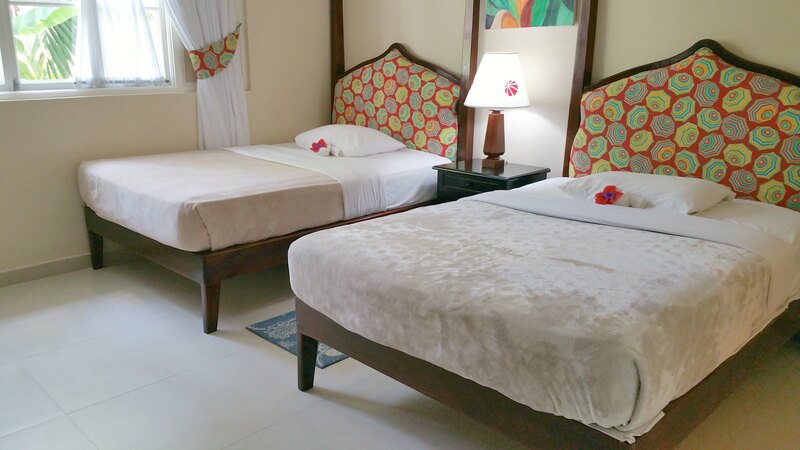 This resort also caters to multi-generational travel and it would be perfect to bring your big extended family to. 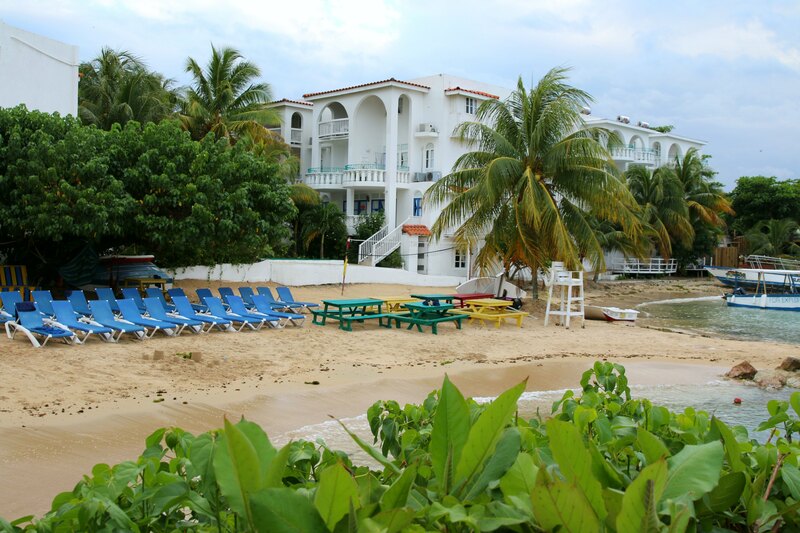 The resort is about an hour from the Montego Bay airport and the drive to the resort is beautiful and on a newly upgraded road. They can arrange for off site tours and there are certain ones just for the teens to take too. 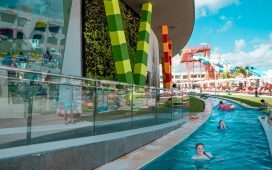 Kids of all ages will love this resort. Parents of little ones who need a break will especially love this place. Wifi is free and very strong. So are the drinks! 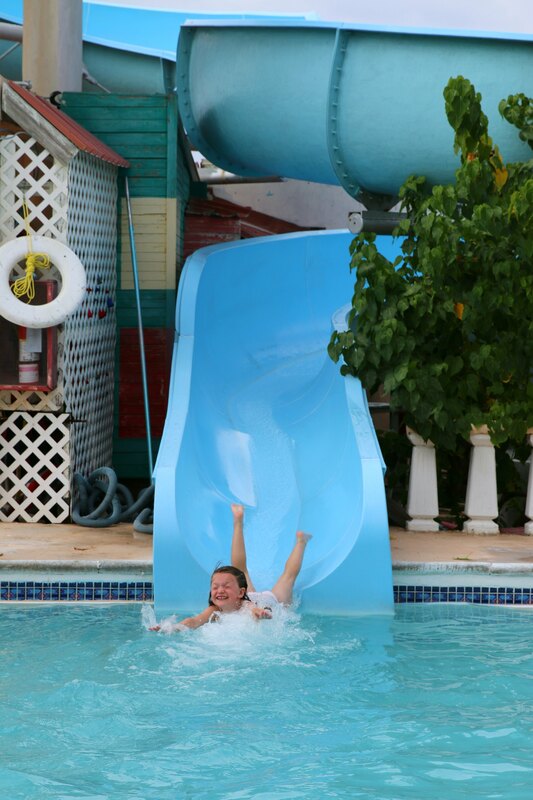 Learn more about Franklyn D. Resort on their website. That sounds beyond amazing; I would love to take my family there. This looks so wonderful and fun! You guys always take the coolest trips and stay in the best places. I would love to go visit here. You all make vacations look just beyond outstanding. I love to travel and I take my family with me whenever I can. 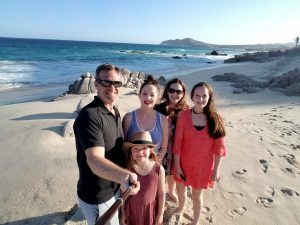 You are doing such a wonderful thing bringing your children with you on this travel ventures. Wow. Everything looks amazing. You all look like you are having an amzing time. What an amazing trip! It looks like so much fun and so relaxing. I love any vacation where I get sun and beaches. I would never ever leave if I came to a place like that. It’s so beautiful there. 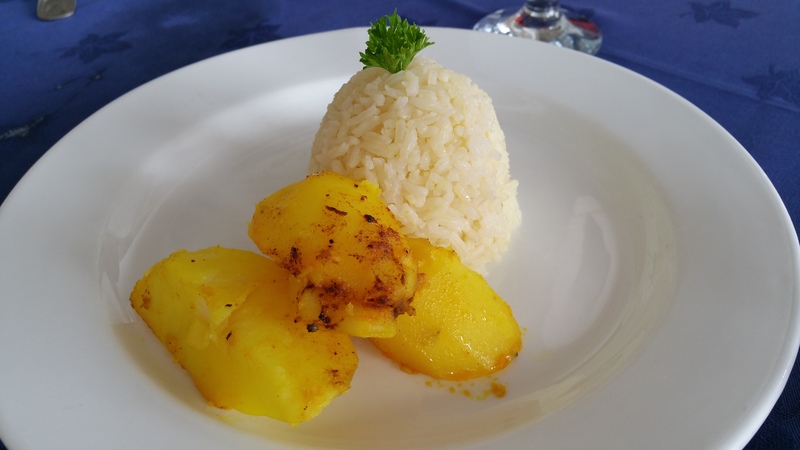 The ocean, the resort itself, the food. Amazing. 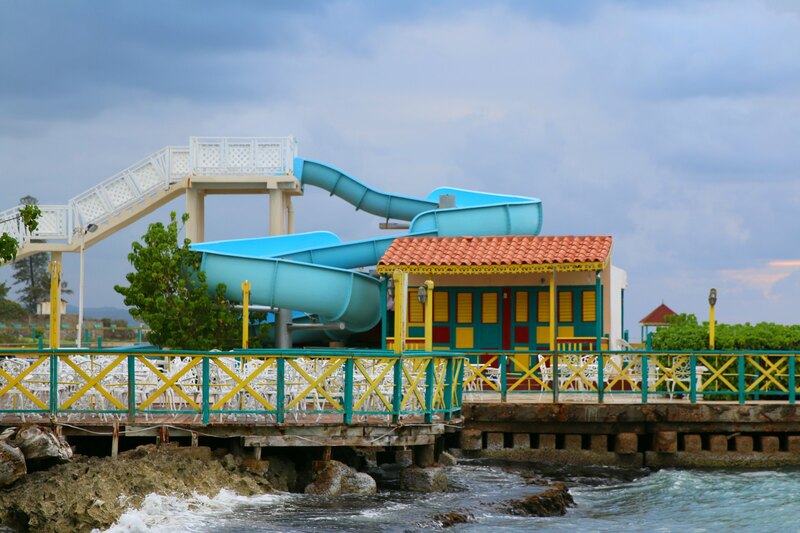 The water slides look like so much fun. 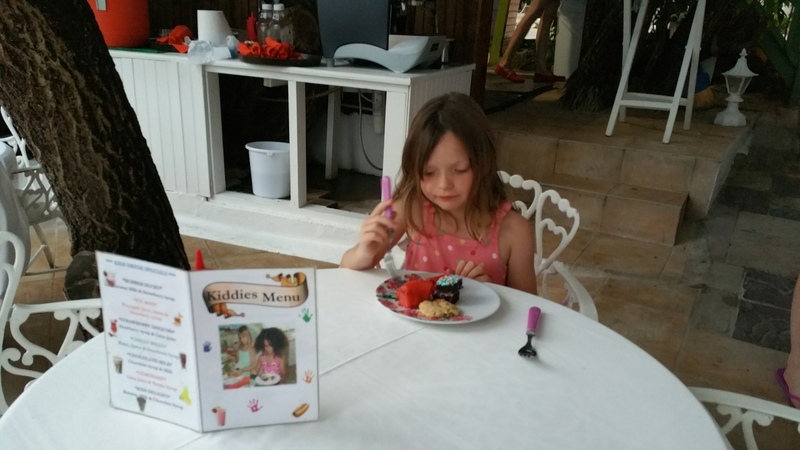 I love these resorts where kids and parents can enjoy all kinds of activities and food. That looks like such a great experience for the whole family. We went to Cancun one year and it was beautiful. I would love to take my kiddos here. A nanny!? That is so cool. I have never heard of a resort that offers such an awesome service. Sounds like a blast! All of your photos are so amazing! It looks like such an amazing experience. I have always wanted to go to Jamaica. I hope that some day I will. From looking at your photos, it looks like a great time. That looks like so much fun! I can’t wait to go there one day. Seriously, it is on my list! I love how close to the water your room was. It looks so beautiful here. I have always wanted to go to Jamaica. This looks like a fantastic resort to stay at. 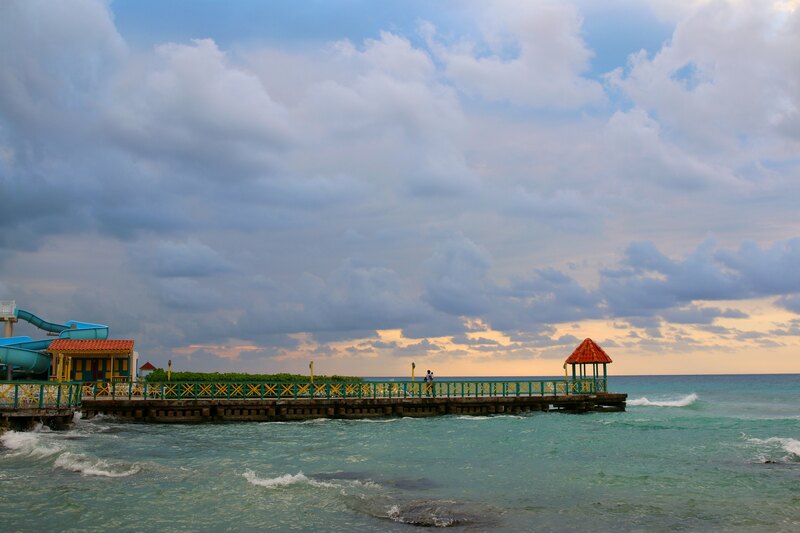 Jamaica would be an amazing place to go for a vacation. Looks like you had a great time. Everything about this trip looks like absolute perfection! The food looks divine and I know it’s a small detail, but the colors on the balcony are so festive! Love it. 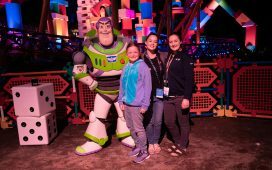 It sounds like an amazing place and it’s definitely perfect for families! I love that there’s a nanny to look after the kids so you can have some time with your hubby. Aside from that, it’s so nice to know that they have a kids menu and a menu for vegans! That’s excellent customer service right there. This resort is amazing. I would love a nanny while on vacation. What an awesome hotel. I’d love to take my kids there. I know we’d have a blast. It looks like there is so much to do. 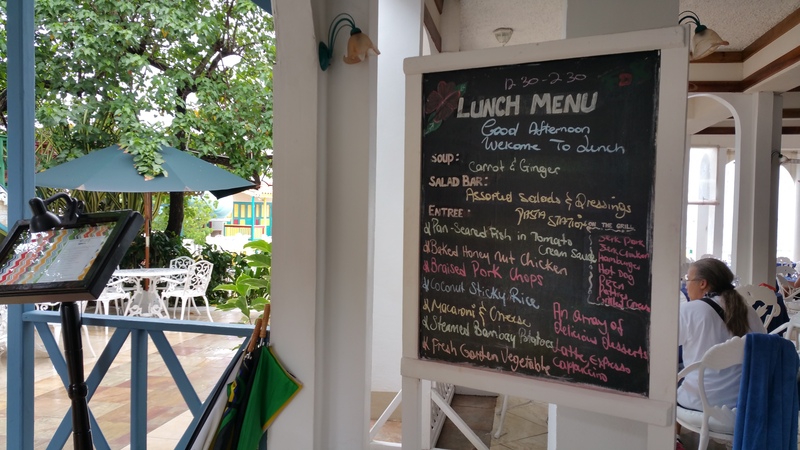 Franklyn D Resort – what a great name. I have a book on folding towels – I keep forgetting to use it when I have guest. I have never been to Jamaica but it does remind me of the other Caribbean islands I’ve been too. That resort looks amazing and that slide! WOW! I would love to go down that slide. Sometimes a grand entrance is overrated. This resort looks amazing and the views of the water – stunning. I can see why your daughter did not want to leave the water – I wouldn’t have wanted to either. What a fantastic place to stay. I wouldn’t want to leave that place. Wow, It looks a wonderful and fun adventure together with your family.! What an amazing place for summer vacation. I would love to visit that one day. The resort is beautiful. I’m sure you had loads of fun during yourstay. I would love to go there one day. 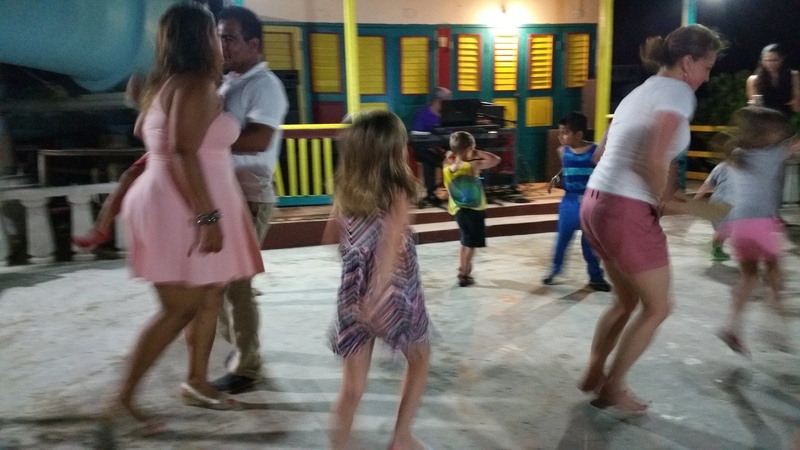 It looks like you all had an amazing luxury family vacation in Jamaica. This would be an amazing resort to stay at with our without kids. I love the idea of a vacation nanny which would be an awesome treat for the parents. 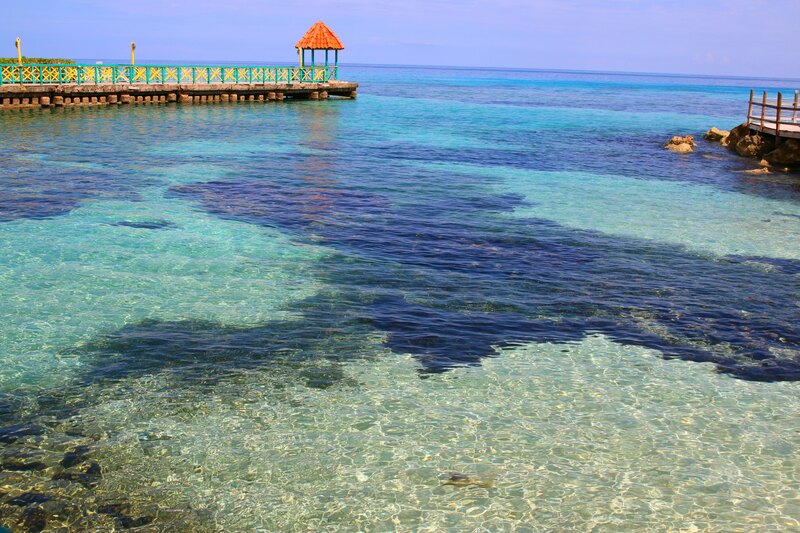 I would so love to visit Jamaica some day. 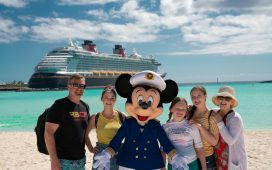 Thanks for sharing your wonderful luxury family vacation. This seems like such a beautiful place to visit. Your photographs made the place come alive. I will definitely have to keep this place in mind for future trips. 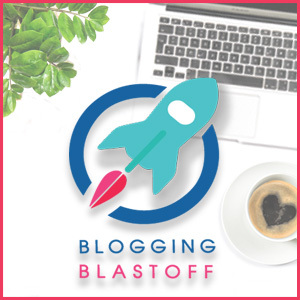 I love the idea of a vacation nanny…how cool is that! I have never been to Jamaica but have always wanted to visit, NOW I really want to visit! 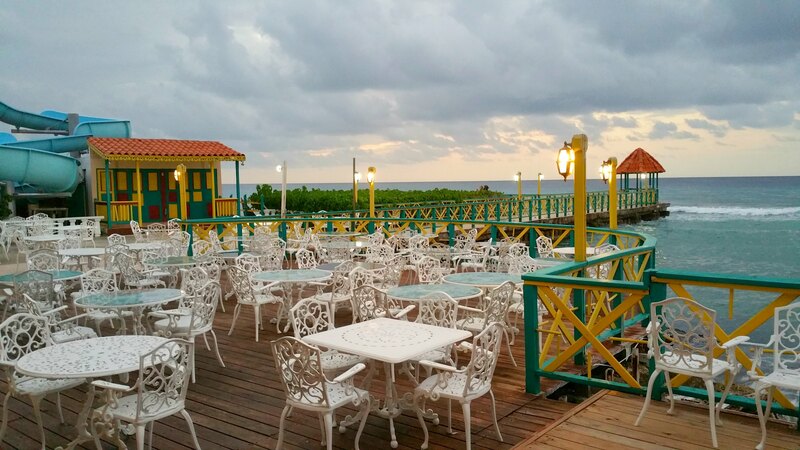 The resort looks amazing and the food…wow! 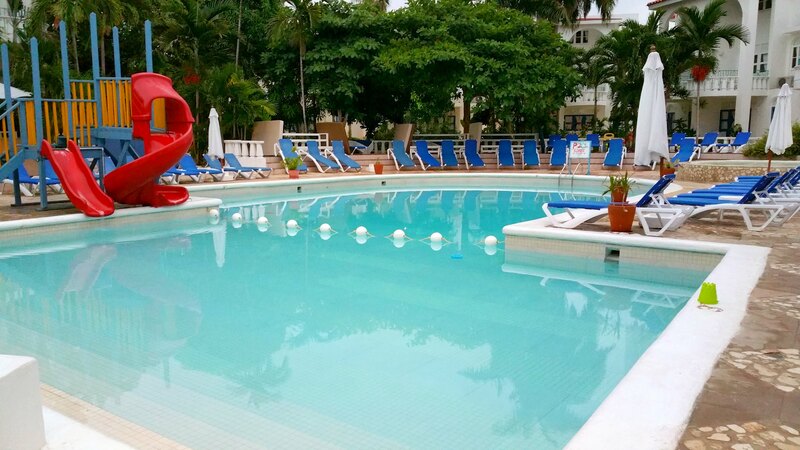 Pools with slides and a private beach….awesome! We have never been to Jamaica but I am looking into some traveling that way within the next year. Trying to get some traveling in with all the kids before they get too old. Your pics are amazing and that water is so blue! I want to join your adventures! They look so amazing! 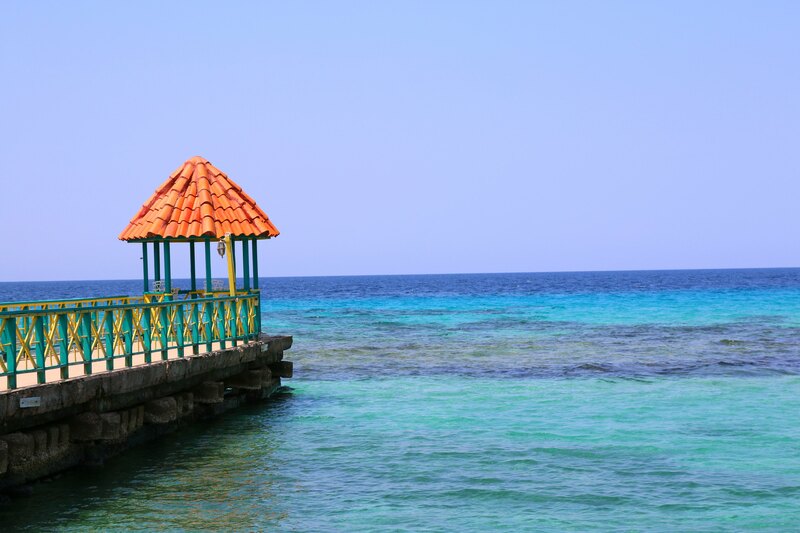 I have never been to Jamaica, but these photo are tempting me to plan a trip soon! Omg this resort sounds great!!!! I’m loving how family friendly it is!!!! I love it when resorts have nanny service. That’s always something I look for so hubby and I can atleast get one day of our getaway kiddo free. Amazing view, amazing hotel and awesome foods. What more can you ask for! Lovely vacation indeed! Wow what a beautiful resort! I am hoping we visit Jamaica next year. We’ve talked about Jamaica being a possibility for a vacation next year. We both work a lot, so I don’t know if it will pan out of not though. What’s not to love about that place? It offers everything under the sun anyone could want! Looks like you had such a great time. I have always wanted to go and that water slide looks awesome! I love that the hotel is so family friendly. 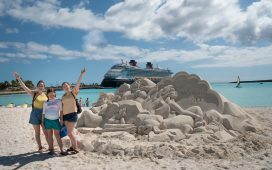 It’s so important to find vacation destinations that the whole family can feel comfortable in. What a great family trip! Would love to spend a weekend in there! I love that they created a menu specifically to cater to you as veggies. The spicy red rice looks so good. oh, my! What a paradise. I love the room. 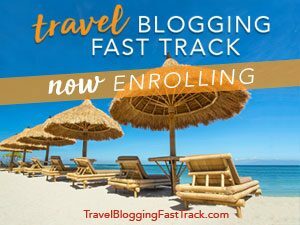 Looks like a fantabulous getaway! Thanks for sharing! This looks like an amazing trip with great food! What a gorgeous place to visit.